Generally speaking if the movie is in 3D it's not for me. Some in our party were concerned about being able use the glasses for the entire movie while others felt that movies were for escape and 3D gets in the way. In the end we decided we would endure any discomfort or philosophical objections and we opted for the 3D version of the movie Gravity. The 3D effect was both subtle and powerful. 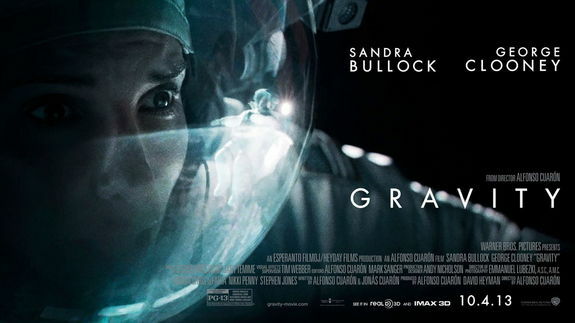 The movie is probably the closest I will ever get to space and it was visually stunning...my kind of movie! Despite any scientific deficiencies the feeling of weightlessness combined with the isolation of space were powerful. The picture below is only slightly posed and Eve and June get used to their new 3D look. June and Eve feigning fear with 3D glasses.